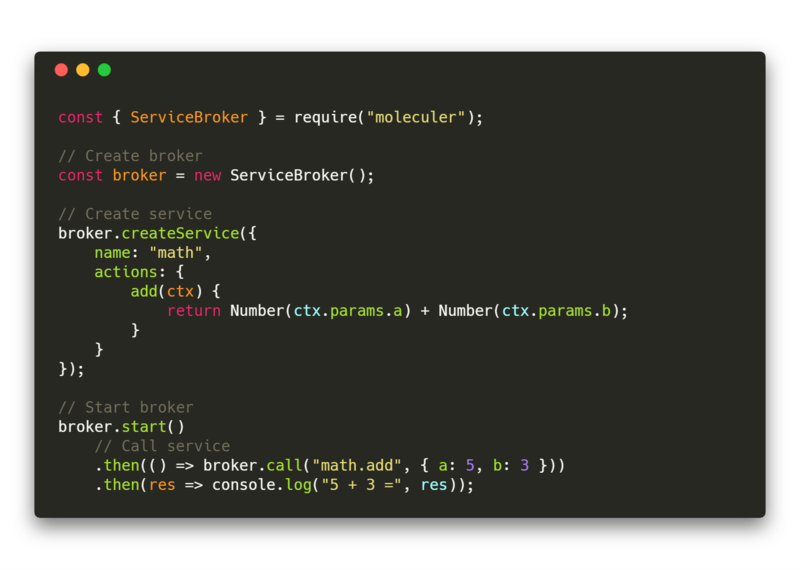 Progressive microservices framework for Node.js. High-performance microservices framework. Check the benchmark results! All built-in modules (caching, serializer, transporter) are pluggable. Create your own solutions or find all modules. Moleculer is a 100% open source and free of charge project. All source code is available under the MIT License on GitHub. Moleculer is a fault tolerant framework. It has built-in load balancer, circuit breaker, retries, timeout and bulkhead features. If you don't see here your company, tell us.